Believe it or not the split top bun is uniquely New England, and there’s no better way to eat your hot dog or lobster roll. 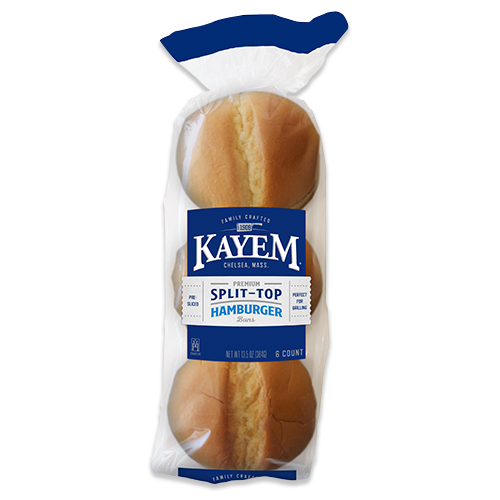 Soft, fresh, and evenly sliced across the top, you can easily grill both sides of this bun to golden perfection. 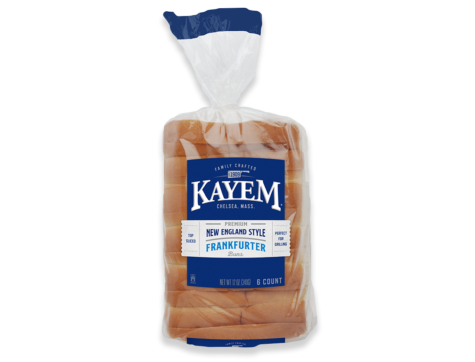 Unbleached enriched wheat flour (wheat flour, malted barley flour, niacin, iron, thiamin mononitrate, riboflavin, folic acid), water, high fructose corn syrup, yeast, contains 2% or less of the following: soybean and/ or canola oil, wheat gluten, salt, cultured wheat flour, dough conditioners (sodium stearoyl lactylate, monoglycerides, ascorbic acid, enzymes), yeast nutrients (monocalcium phosphate, calcium sulfate, ammonium sulfate), calcium propionate (preservative), vinegar, wheat starch, annatto and turmeric extracts, organic expeller pressed soy lecithin. 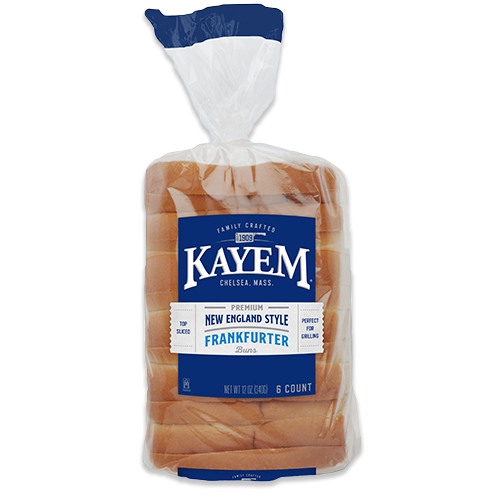 Step up your BBQ with the perfect bun for your frank. 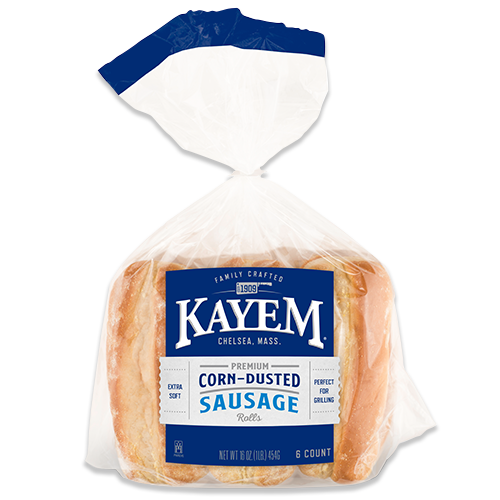 Toss on the grill for approximately 30 seconds on each side and enjoy a toasty bun, or place in a buttered skillet over low to medium heat (1-2 minutes on each side) for a buttery golden brown finish.